Can be used with soaps and creams. 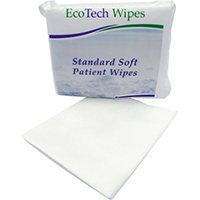 Delicate dry wipes for cleansing of the skin. Can be used in conjunction with soaps and creams. Available in Standard and Luxury.